Inexpensive, very compact, decent build quality. Will be a little too small for some households. 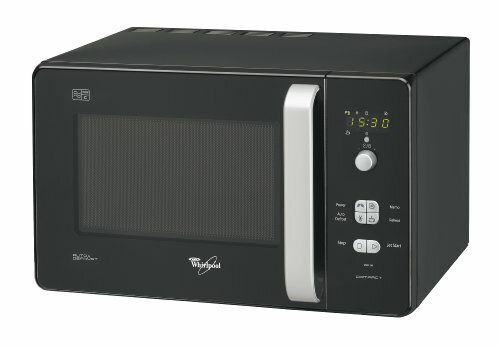 Looking for a cheap compact microwave? The Whirlpool MWD240BL is a sleek black microwave, offering 20 litres of capacity and 700w of power. The black exterior is combined with silver detailing on the handle and buttons, complete with a green digital LED display. The controls themselves are fairly minimalist, but easy to use, and the overall design and aesthetics were met with positive comments from our test team. With only 700w of power it's a little less powerful than some of it's competitor's, although not noticeable in practice. Build quality and construction is fairly good, as is standard for the majority of Whirlpool appliances, and reliability shouldn't be an issue based on past experiences. 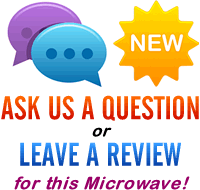 Overall it's a good solid compact microwave, which does it's job very well. The Whirlpool MWD240BL is pretty small at 35.5cm by 45.6cm by 28.5cm, but includes a 27cm turntable. It may lack the functions of higher end models, but is highly suited to those who are looking for a compact solo microwave oven on a budget.